A careful study of history, Scripture, and astronomy reveals the shocking fact that Saturday is not the seventh-day Sabbath of Scripture, nor is Sunday the day of the Saviour’s resurrection! 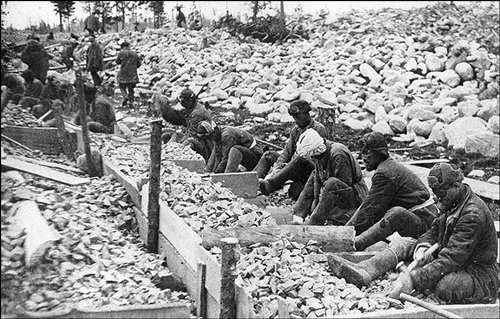 Arthur S. Maxwell told the story of an assumption made in time of war that changed the outcome of history. According to Maxwell, the Spanish Armada was chasing smaller, out-gunned British ships commanded by Vice Admiral Lord Nelson. The Spanish ships outnumbered the British ships and an easy victory seemed assured. Suddenly, however, a British sailor fell overboard. Under the circumstances, most commanders would continue sailing on. Why risk the lives of all just to save the life of one? That is not what happened, however. The command was given to rescue the British sailor. The British ships slowed. 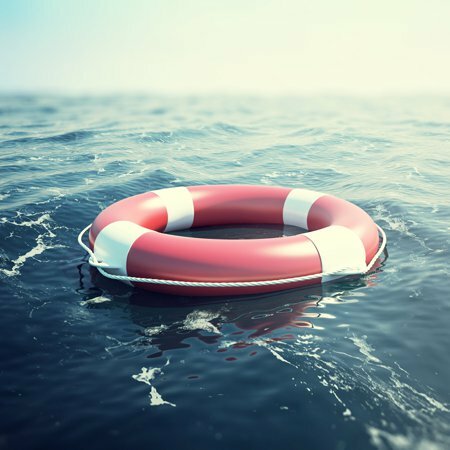 A lifeboat was lowered and sent to save the lone man. Seeing this, the Spanish commander could not believe that anyone would risk defeat to save the life of a single sailor. He made the assumption that the British commander must certainly have seen reinforcements on the horizon. Why else would they have stopped and taken the time to save one man? Under this mistaken assumption, the Spanish ships turned and fled, leaving the British ships unscathed to fight another day. Ultimately, this assumption contributed to the virtual annihilation of the Spanish navy when Spain joined France to fight the British at the Battle of Trafalgar. The British victory at Trafalgar, “Destroyed Napoleon's maritime strategy and invasion plans . . . [This] set the limit to Napoleon's empire, and plotted the course of his downfall.”1 Had the Spanish commander not made the false assumption he did, Nelson might have been defeated earlier, and the Battle of Trafalgar could have had a much different ending, if fought at all. History would have been very different save for one small false assumption. Assumptions use known facts (or accepted-as-true ideas) to extrapolate beliefs about something that is actually unproven. The problem arises when an incorrect assumption is accepted as rock-solid truth. Some assumptions are funny. Take, for example, Dr. Dionysius Lardner’s warning in the early 1800s that anyone traveling full speed on trains would asphyxiate from lack of oxygen. Other assumptions can be dangerous, such as the assumption made in the 17th century that all blood is the same, leading doctors to transfuse animal blood into humans. The humans typically died. And the more widespread the assumption, the stronger its power to delude. Today, Christendom has been caught in a delusion. A delusion based on an assumption. Sadly, the assumption has the weight of nearly 1,600 years supporting it, trying to silence all who would reveal the truth. This assumption is that the modern week, Sunday through Saturday, has cycled continuously and without interruption since Creation. This assumption has created the delusion that Saturday is the seventh-day Sabbath of Scripture, while Sunday—as the first day of the week—is the day on which Yahushua arose from the grave. The delusion is the affect of the assumption. But the assumption is wrong. The truth is today’s Saturday is not the original Sabbath on which Yahuwah rested at Creation. It is not the ancient Sabbath enshrined in the 10 Commandments at Sinai, and observed by Yahushua and the disciples. It is not the true Sabbath kept by the early Christians in the first few centuries of our common era. Neither is Sunday the day on which Yahushua arose from the dead. Such statements can be shocking and it is normal to have a knee-jerk reaction, dismissing them as wrong. However, history, Scripture, and even astronomy all prove the assumption of a continuous weekly cycle is wrong. The conversation was equal parts frustrating and surprising. I respected my friend. He was well educated. He held a Master’s of Divinity degree. 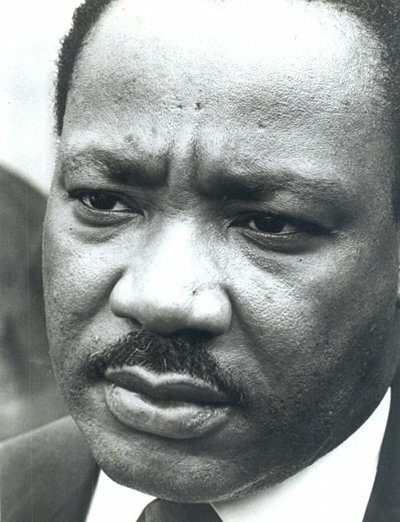 I believed him to be an intellectually honest, truth-first man. 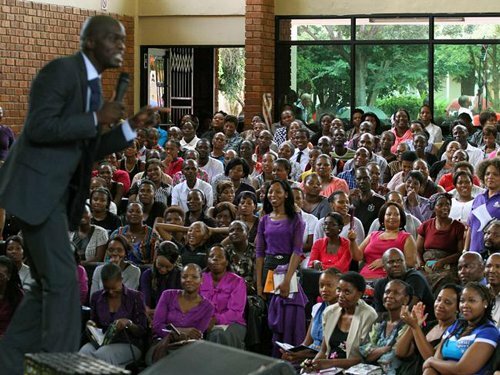 As a Seventh-day Adventist minister, I’d heard him speak in evangelistic meetings, explaining why worshipping on a precise day (the seventh-day Sabbath) was important; that not just any day (read: Sunday) would do. At first, he dismissed the idea that the concept of a continuous weekly cycle ever since Creation is nothing but a false assumption. “When the calendar transitioned from the Julian calendar to the Gregorian, no days of the week were lost. Thursday, October 4, was immediately followed by Friday, October 15,” he said, explaining facts I already knew. He was correct, but he wasn’t going back far enough. The truth is hidden in the misty past, but to find the truth, it is necessary to dig much deeper and go back much further than a mere 400 years ago. The change in the weekly cycle—and even the length of the week—occurred over a millennia earlier than the introduction of the modern Gregorian calendar. Time itself is, of course, continuous. However, that does not mean that the method by which it is counted has always been continuous as well. Weeks on the modern calendar do cycle continuously. But, this has not always been so and we do not have to go clear back to Paleolithic lunar calendars to establish this fact. Depending upon the language, this is a difficult concept to get across, because once in power, the Roman Catholic Church wanted to hide the pagan origins of the planetary week and delude people into believing that it was but an extension of the Biblical week. (Their success can be seen in the fact that many today still assume the modern Saturday is the Sabbath of Scripture.) A concerted effort was made to change the pagan day-names to Biblical day-names. In other words: “First Day,” “Second Day,” “Third Day,” etc. Despite its obvious effort to provide the week with a distinctively Christian content, the Church nevertheless chose to preserve its Jewish seven-day rhythmic form. This should not be taken too lightly; as it could have chosen to assemble regularly in accordance with the traditional Roman eight-day weekly cycle . . . After all, in abrogating the Sabbath, the Church also destroyed the raison d’être [reason for existence] of the Jewish seven-day week. In other words, Zerubavel is saying, the construction of the modern week was a deliberate choice, not an automatic extension of how time was calculated earlier. Other week-lengths were deliberately rejected while a week of seven days was deliberately chosen to emulate the Jewish seven-day week. While the Roman Catholic Church has officially clung to the traditional Jewish nomenclature [system of naming] of the days of the week, planetary designations of these days appeared as early as the second century in the writings of the church fathers, and were popularly used by Christians at least since A.D. 269. (The only significant organized Christian attempt to restore the original Hebrew nomenclature of the days of the week seems to have been the official elimination of the “heathen names” by the First General Assembly of Pennsylvania, obviously representing the spirit of the Society of Friends, between 1682 and 1706. Incidentally, to this day, Quakers still call their Sunday schools “First-Day schools.”) As we can tell from the etymologically curious fact that no planetary designations of days of the week are to be found in either Greek or any of the Slavic languages, it is only the Eastern Church that seems to have succeeded in suppressing the considerable influence of astrology. Rome was obviously much less successful, as the planetary names of at least some of the days of the week in English, German, Dutch, Danish, Norwegian, Icelandic, Swedish, Finnish, Lapp, Hungarian, Albanian, Rumanian, Italian, French, Catalan, Spanish, Breton, Gaelic, Welsh, and Cornish seem to indicate. A survey reveals that in at least sixty-five languages the days of the week are named after the seven planetary gods of ancient paganism—Sun, Moon, Mars, Mercury, Jupiter, Venus, and Saturn. And the practice of calling the days after those pagan deities is now most general in those lands where the profession of the Christian religion is dominant. Robert L. Odom, Sunday in Roman Paganism, p. 158. It would be absurd, however, to suppose that the dedication of the days of the week to the heavenly bodies is of Hebrew or Christian origin. The Holy Scriptures reveal that the ancient Jews and the early Christians designated the days by numbers, the sixth and the seventh being called also “the Preparation” and “the Sabbath” respectively. Again, as previously stated: the planetary week was not drawn from the Biblical week. It came from paganism. The Church attempted to hide this fact by changing the names of the days of the week and in this, they were only partially successful. The modern week is the same length as the Biblical week. But, as noted, the names of the days of the week, as well as the manner in which the week cycles, do not come from Scripture. As Zerubavel stated earlier, “The Church nevertheless chose to preserve its Jewish seven-day rhythmic form. This should not be taken too lightly; as it could have chosen to assemble regularly in accordance with the traditional Roman eight-day weekly cycle.” More shall be said on this point later, but for now it is enough to understand that the modern week was not a natural extension of the Biblical week. Rather, it was drawn from paganism and deliberately chosen to emulate the length of the Biblical week from which it was not drawn. A stick calendar found in the Baths of Titus in Rome. The next god in line, on the second day of the week, is Sol, or the sun god, crowned with rays of light. The third day has the moon goddess, Luna, crowned by the crescent moon. The other gods follow in order: Mars, god of war, wearing a helmet; Mercury, wearing his winged helmet and holding a caduceus; Jupiter, clutching his customary bundle of thunderbolts; and finally, the last day of the week has the goddess of love, Venus. This clearly establishes that the modern week could not have been drawn from Scripture as, at the time it began to be used in the Julian calendar, it began on Saturn’s Day and ended on Venus’s Day, Friday. Only later was the week standardized to begin on Sunday and end on Saturday. The Julian calendar was a fairly recent invention when the Saviour walked the earth. The Romans had originally used the calendar of the Roman Republic, which was, like the Hebrew calendar, luni-solar. The calendar of the Roman Republic was based on lunar phases. Pagan Roman priests, called pontiffs, were responsible for regulating the calendar. . . .
Julius Cæsar invited Sosigenes, an Alexandrian astronomer to come up with a new way to calculate time. 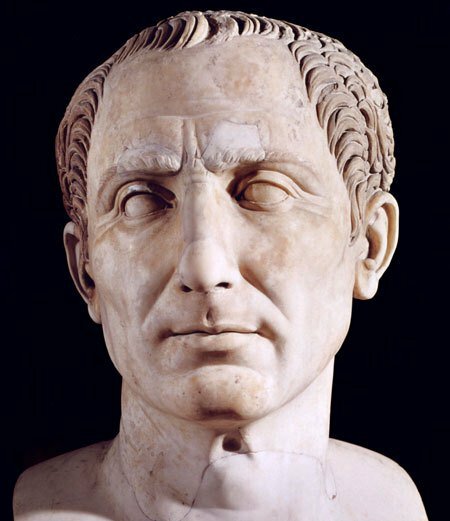 The pagan, solar, Julian calendar is named for , who was responsible for setting aside the lunar-based calendar of the Roman Republic. The luni-solar calendar of Creation, re-established at the Exodus, with its seven-day week that restarted each New Moon day. Which calendar do you think the Jews would have used? It is interesting to note that the majority of the Dead Sea scrolls contain little more than attempts to correlate two different methods of time keeping. This alone reveals that there were at least two different calendars known in Palestine at that time. It also provides circumstantial evidence that the Jews were using a different calendar than the one used by their Roman rulers. These stone fragments from an early Julian calendar show the months August through December. 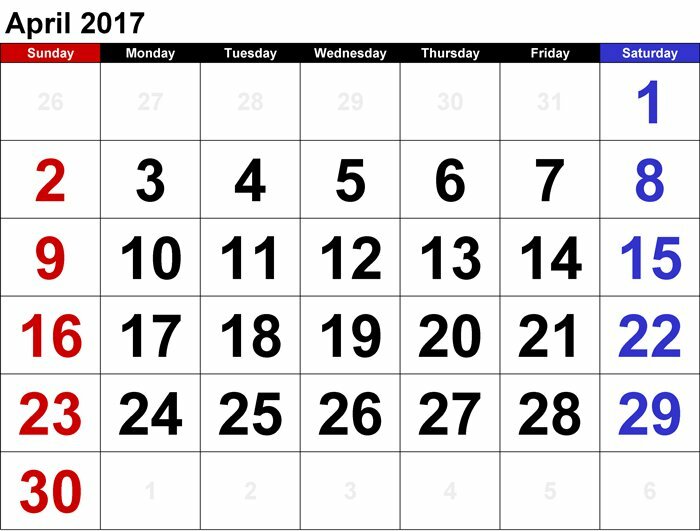 The letters A through H designated days of the week. This can clearly be seen on the stone fragments, proving the eight-day length of the early Julian calendar. The Julian calendar was both pagan and solar. The Gregorian calendar in use today is, likewise, both pagan and solar. It is almost identical to the pagan, solar Julian calendar, and has virtually no resemblance to the Biblical luni-solar calendar of Yahuwah. This is one of the oldest dated Christian sepulchral inscriptions to be found in Rome and is fascinating because it gives two different dates! The “Nones” of November refers to November 5. That year, this fell on “the day of Venus” or Friday. In that particular lunation, this corresponded to the 24th day of the lunar month which would have been “Second Day” on the Biblical week. This is extremely important because if “Second Day” in that lunation fell on Friday, the seventh day—and the Sabbath—coincided with the pagan Wednesday or “day of Mercury”! For too long, the fact that Jews worship on Saturday as the Sabbath has been used to “prove” that Saturday is the Bible Sabbath. But that is nothing more than circular reasoning: The Jews worship on the Sabbath. Therefore, Saturday is the Sabbath because that’s when the Jews worship. The fact is, Jewish scholars are well aware that Saturday is not the original Sabbath of Scripture. The following are all quotes from Jewish scholars, all emphasis supplied. 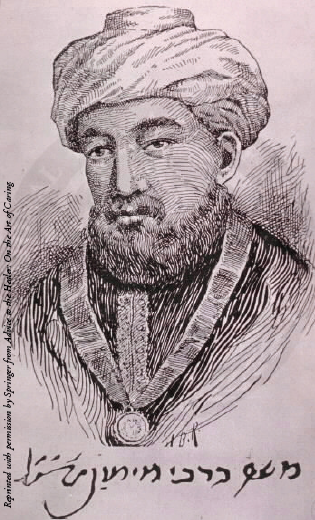 Maimonides (1135-1204), rabbi, philosopher and physician. This was due to the extreme persecution conducted by the early Christian (Roman Catholic) church once it gained power in the fourth century C.E. Again, Jews are very open about these facts of history, readily admitting that they changed the calendar under the pressure of extreme persecution. 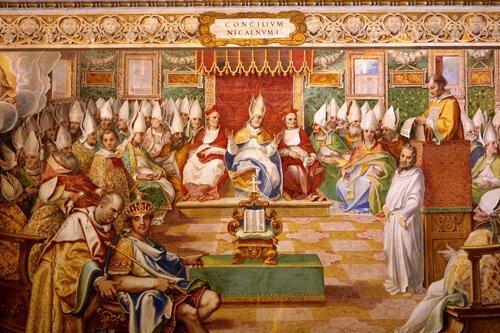 The Council of Nicæa is still considered one of the most influential church councils ever held. Heinrich Graetz in his monumental History of the Jews, which was published by the Jewish Publication Society of America in 1893! Alexander Hyslop, The Two Babylons, p. 105, emphasis supplied. This is an argument based on ignorance. First, the fourth commandment does not just say to worship on the seventh day. It also that while no work be done on the seventh day, work should be done on the other six days of the week. Furthermore, the reason traditionally given for worship on Sunday is based on the argument that Sunday is the day of Yahushua’s resurrection. However, as we have seen, Sunday did not exist on the eight-day week of the early Julian calendar. Therefore, the Saviour could not have risen on that day. Sunday has no basis for worship since it is a tradition of the Roman Catholic Church, just as they have always claimed. 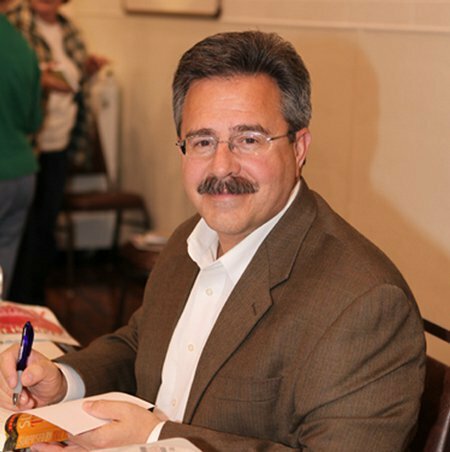 Catholic author and radio host, Patrick Madrid. What your brother-in-law may not understand is that the Catholic Church did not change that [Sabbath] commandment. The Catholic Church observes the commandment to keep holy the Sabbath, but it does so on the Lord's Day, and the earliest Christians transferred their observance of that commandment from Saturday to Sunday. First of all, because there was a distinct break between the Old Testament requirements: the rituals and Mosaic covenant demands dealing with the Sabbath worship and animal sacrifices, and that sort of thing. And they wanted to show that Christianity was distinct from Judaism. It came from Judaism, but it was distinct from it. . . . Celebrating the Lord's resurrection and death on the day that He rose from the dead seemed to be the most appropriate. The other thing that we should remember, too, is that our calendar that we follow, including Seventh-day Adventists, is not only a calendar that was devised by the Catholic Church, but also it is a calendar that's based upon the solar year, not the lunar year. And the Jewish calendar that was observed in the time of Christ follows a lunar calendar, which is several days short of the solar calendar. This whole subject is much bigger than merely Saturday versus Sunday. It has to do with an entire system of false worship: pagan/papal sun worship versus pure, Biblical worship of the All-mighty. I was stunned. Such a statement clearly contradicted every single statement he’d ever made that the Father expects us to worship on a precise, specific day. There is one mistake almost everyone makes when reading the Bible. It’s a very common one and very understandable. That is, when people read the Bible, they do so wearing a specific set of ideological “glasses.” These glasses are crafted by their individual cultural and educational backgrounds and shape how they interpret what they read. Christians worship on either Saturday or Sunday because they assume the week as it is today has cycled continuously and without interruption since Yahushua’s day. Nowhere is this seen more clearly than in the subject of the Sabbath. The entire world has been united in using the papal Gregorian calendar since the 1940s. Therefore, it is natural that when people read about the Sabbath in Scripture, they assume it is referring to the seventh day of the modern week: Saturday. This assumption, however, is wrong. The biggest difference between the calendar of the Bible and the modern calendar is found in the weekly cycles of each method of time keeping. As mentioned before, the modern calendar has a continuous weekly cycle. This means that each month starts on a different day of the week. Not so with the Biblical calendar. The weekly cycle on Yah’s calendar restarted with each new month. But what is more, the modern calendar, being founded upon the sun, has no link between weeks and anything in nature. By contrast, the weekly cycle of Yahuwah’s calendar is irrevocably tied to the phases of the moon. There is no one text in Scripture that explains how the Biblical calendar worked for one very simple reason: it was assumed knowledge. Everyone used that calendar. There was no need to spell out how the calendar worked any more than today. It is not necessary to explain how the Gregorian calendar works because everyone just knows. However, clues exist and are liberally scattered throughout the Bible. When the Biblical principle of precept upon precept, line upon line, here a little, there a little is applied, the differences become very apparent. The word translated “signs” comes from the Hebrew word owth, which means a signal, monument, beacon, sign or token. Even more significant is the word translated “seasons.” This comes from the Hebrew word mo’ed which means a fixed time or season, specifically, a festival. It is used throughout Leviticus 23, referring to the feasts of Yahuwah: “And Yahuwah spake unto Moses, saying, Speak unto the children of Israel, and say unto them, Concerning the feasts of Yahuwah, which ye shall proclaim to be holy convocations, even these are My feasts.” (Leviticus 23:1-2, KJV) The very first feast listed was the weekly feast of the seventh-day Sabbath. Then the others given were the annual feasts. The week of seven days was connected with the lunar month, of which it is, approximately, a fourth. The quadripartite division of the month was evidently in use among the Hebrews and other ancient peoples; but it is not clear whether it originated among the former. It is unnecessary to assume, however, that it was derived from the Babylonians, for it is equally possible that observations of the four phases of the moon led the Hebrew nomads spontaneously and independently to devise the system of dividing the interval between the successive new moons into four groups of seven days each. . . . The emphasis laid on the requirement [Leviticus 23:15] that the weeks of Pentecost should be “complete” (“temimot”) suggests that weeks might be reckoned in such a way as to violate this injunction. This quote is interesting because, first, it correctly connects the ancient weekly cycle to the lunar phases; and, secondly, it brings out that the count to Pentecost requiring “complete” weeks does seem to infer that the weekly cycle being used would not automatically provide complete weeks. Such an argument is a logical fallacy. Not only can Saturday be proven to not be the true Sabbath, but in Scripture, Yahuwah Himself declares that the Sabbath will be forgotten and that He will be the one who insures that it is forgotten! The prophet, Jeremiah, was lamenting what had befallen Jerusalem when it fell to the Babylonians. But because “Babylon” is also a symbol for the entire infrastructure of false worship, Jeremiah’s lament has a secondary, prophetic application pointing forward to a time when the knowledge of the original, ancient Sabbath was, truly, lost. Yahuwah was as an enemy: He hath swallowed up Israel, He hath swallowed up all her palaces: he hath destroyed his strong holds, and hath increased in the daughter of Judah mourning and lamentation. By turning aside to false worship, Yahuwah’s “bride” (believers) have been unfaithful to Him. There are many beautiful promises recorded in the second chapter of Hosea. We like to read those promises; we like to claim them. But they must be read in context, and the context is that first comes a denouncement for spiritual unfaithfulness. The “New Moons” are a clear reference to the calendar by which the Sabbaths and “solemn feasts” (mo’edim) are calculated. “It was by compromise with paganism that the early Christian church lost its apostolic purity. This opened the floodgates to all of the deceptions of Satan. By not valuing and preserving the truth, the people of [Yah] lost it. When the truth of heaven is not cherished as it should be, [Yah] removes it; He causes it to be forgotten.”28 And that is precisely what happened. Throughout Scripture, the Sabbath is important. From Genesis to Revelation, it is a golden thread, weaving Yah's promised rest through all. It makes no sense whatsoever that the Creator, the Ruler of the heavens and the earth, would not have also established a method of time-calculation whereby anyone, anywhere and at any time, could know when the Sabbath comes. This point is well illustrated by the experience of a Saturday-Sabbath keeping minister arrested by the KGB and thrown into prison during the Soviet-era. At first, he was kept in solitary confinement. Later, he was sent to the gulag. He very carefully kept track of every single day so that he could know when the Sabbath came. Eventually, though, he lost track. Whether he lost consciousness for a time due to their ill-treatment of him, or something else, ultimately doesn’t matter. Whatever the cause, he eventually lost track of what day of the week it was. Oh, what fun the guards made of him then! They tormented him mercilessly. And he did truly suffer mental agony. He loved Yahuwah and wanted to honor Him. He was in prison precisely because he refused to compromise on his beliefs. And now, he did not know when the Sabbath came and whether or not he was working on it. This is the result of ignorance of the true Sabbath and Yahuwah’s true calendar established at Creation. It is not His will for any to remain in ignorance. Nor did He hand Adam and Eve a piece of paper to tack up to a tree in order to keep count. Something so important would never be entrusted to anything so easily destroyed or so easily changed! Yahuwah, remember, is the Creator of All. He didn’t need to give Adam and Eve a calendar printed on a piece of paper. He embedded His time-keeping system into the very fabric of creation and implanted it in the skies for all to see regardless of where they were on earth. Just as it makes no sense whatsoever that Yahuwah would entrust the knowledge of His time-keeping system to a piece of paper or even a block of stone, it is likewise beyond all logic to assume that He would entrust the calculation of His holy Sabbath into the care of His enemy, Lucifer. And yet, that is precisely the case if, in the face of all evidence to the contrary, a person insists that Saturday is the seventh-day Sabbath of the Bible. The modern “Gregorian” solar calendar is a papal invention. It is even named after Pope Gregory XIII! When it was first introduced, only three countries accepted it and those were all Catholic countries. The other countries rejected it for being Catholic. And yet, the Julian calendar is no better as it was a pagan solar calendar. Only the luni-solar calendar of Creation has the ability to pinpoint Yah’s true mo’edim, Heaven’s appointed times for worship. Sidereal: Sidereal calendars track time based on the observed relative movement of the stars. The Hindu calendar uses a combination of sidereal and solar time keeping. Solar: In solar calendars, the year is based on the time it takes the sun to return to the same position within the cycles of the seasons, or 365 days. The Julian and Gregorian calendars are both examples of solar time keeping. On a solar calendar, there is nothing connecting the weekly cycle to anything in nature. Lunar: A lunar calendar is based solely on the phases of the moon. Because the lunar year, at 354 days, is shorter than the 365-day solar year, months on the lunar calendar drift through the seasons. The calendar used by Muslims is a lunar calendar, which is why Ramadan drifts backward through the year, from one year to the next. Luni-Solar: Luni-solar calendars are the most elegant and accurate of all calendars in use. The weekly cycle and the months are based on the movements of the moon, while the year is anchored to the sun. Thus, there is no season drift as with a strictly lunar calendar. The Biblical calendar is luni-solar. Truth has been so scattered and buried under centuries of error and assumption, it requires patience and painstaking attention to detail to assemble the various missing “puzzle pieces” of truth. However, recorded in the starry heavens are two more pieces of evidence that help to establish beyond a doubt that Saturday is not the Bible Sabbath. These are the date of the crucifixion, and the International Dateline. Setting aside fun sci-fi speculation about rifts in the “space-time continuum,” time itself is, of course, continuous. That is why most modern people have a hard time wrapping their brains around a system of time-calculation in which the weekly cycle is not continuous. People assume the modern weekly cycle has always existed. Therefore, they tend to think in terms of modern calendar dates even when remembering events of history. Take, for example, the Battle of Marathon. The generally accepted date is September 12, 490, B.C.E. Do you notice a problem? Actually, there are several (rather amusing) problems with that date. First, the Gregorian calendar did not exist in 490 B.C.E. Furthermore, although the Julian calendar had a month called September, the date is nearly 450 years before the Julian calendar came into existence, either! 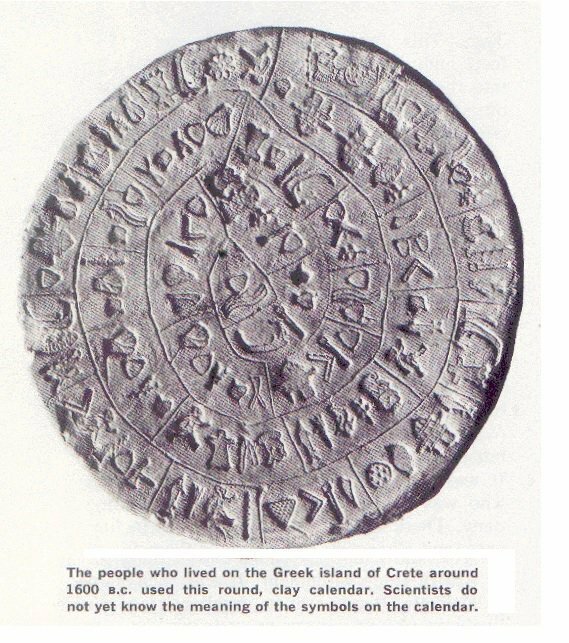 An early Greek calendar from c.a. 1600 B.C.E. Notice not a single “September” among them! So what does it mean that the Battle of Marathon took place on September 12? Using modern calendar dates before that calendar actually came into being is actually a useful tool. It enables people today to understand, relative to the modern system of time keeping, when an event occurred. Counting backward using modern calendar dates is called using a proleptic calendar. A proleptic calendar is simply a calendar that extends its dating system backward to time before its actual introduction. However, while useful, it is important to know when this is happening. Believers today have tried to count backward to the time of Yahushua, to “prove” that He was crucified on a Friday. Others have done the same, attempting to “prove” He was actually crucified on a Wednesday. As has already been established, both are impossible for no other reason than the fact that neither “Friday” nor “Wednesday” had yet been introduced into the Julian calendar. During Yahushua’s life on earth, the Julian calendar still used a week of eight days. Therefore, any claims that the Saviour sacrificed His life on a Friday or a Wednesday is based on proleptic dates, nothing more. It is true, however, that Yahushua was crucified on the sixth day of the week. Leviticus 23 gives the date for the Passover: “In the fourteenth day of the first month at even is Yahuwah’s passover.” (Leviticus 23:5, KJV) On the luni-solar calendar, the 14th day of every month always falls on the sixth day of the week. So, without a doubt, Yahushua died on the day before the seventh-day Sabbath. The day following the Passover is not only the seventh-day Sabbath, it is also the first day of the Feast of Unleavened Bread. “And on the fifteenth day of the same month is the feast of unleavened bread unto Yahuwah: seven days ye must eat unleavened bread.” (Leviticus 23:6, KJV) In other words, a “high” Sabbath. Many scholars have argued over what year the crucifixion occurred because, over and over, they are looking for a year when the 14th day of the lunar month (the Passover on Abib 14) coincides with a proleptic Friday. Using calculations from the Astronomical Applications Department of the United States Naval Observatory, it is possible to prove that the 14th day of the lunar month could not have coincided with a proleptic Friday in the only year possible for the Saviour’s crucifixion: 31 C.E.31 These are astronomical facts, preserved in the heavens, easily calculated because they are so predictable. Yahuwah would not leave the final generation ignorant of such important matters. He established the principles of astronomy that allow us to know with extreme accuracy the movements of the moon 2,000 years ago! And it is these same movements, when applied to a luni-solar calendar and compared with the modern week that establish beyond a doubt that Yahushua, while crucified on the sixth day of the lunar week, was not crucified on a Friday. The day of Yahushua’s resurrection—the reason given for worshipping on Sunday—was not a Sunday. These two facts alone reveal the error in calculating one’s worship days by using the modern solar calendar. Saturday is not the true, ancient Sabbath of the Bible, and Sunday is not the day of Yahushua’s resurrection and, therefore, not a day on which one should worship specifically in honor of the resurrection. The International Dateline is one of the most obvious, and most amusing, proofs that the modern calendar cannot be used to establish the Biblical Sabbath. It is a man-made invention. It is purely arbitrary and it has changed a number of times for no other reason than convenience. The International Date Line functions as a “line of demarcation” separating two consecutive calendar dates. When you cross the date line, you become a time traveler of sorts! Cross to the west and it’s one day later; cross back and you’ve “gone back in time." The eastern most part of Russian is actually further east than the most western part of Alaska! 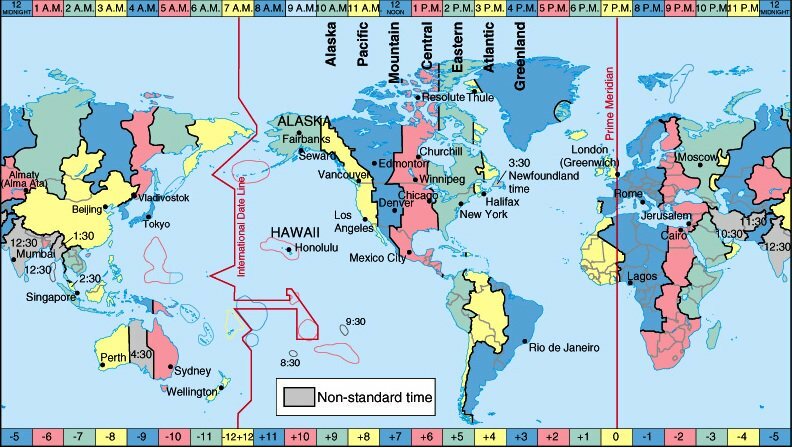 A quick glance at a map of the International Dateline shows how arbitrary it is. A world map showing the path of the International Dateline, zig-zagging its way across the Pacific Ocean. Most recently, the International Dateline was changed in 2012. This created a problem for Saturday-Sabbath keeping Christians in Samoa. Were they to worship on the new seventh-day Sabbath? Or, did they cling to the old, which meant that, with the new date, they were now worshipping on Sunday? The International Dateline is imaginary and completely arbitrary. It is laughable to assume that Yahuwah would allow something as important as His Sabbath to be dependent on something so changeable as the modern calendar which, with a simple vote, can be changed. The man-made International Dateline is necessary only if you are going to calculate the Sabbath by the papal Gregorian calendar. However, if you use the moon to establish the beginning of months, and thus the Sabbath, such an artificial device is not necessary. The moon was created for establishing seasons (mo’edim). It is accurate regardless of where one lives. Pseudo-religion is like pseudo-science. It’s fake, a fraud masquerading as the truth. In pseudo-science as well as pseudo-religion, a hypothesis is based on an assumption and then efforts are expended to prove the hypothesis, rather than to arrive at the truth. However, if the assumption is incorrect, no amount of “proof” will transform error into truth. Likewise, a long tradition of calling Saturday, the “Sabbath” does not make it so. The fact that modern Jews now worship on Saturday proves nothing more than what their scholars have already admitted: they no longer worship by the Biblical calendar. The facts of archeology, Scripture, and astronomy demonstrate the truth: the original Sabbath of the Bible was calculated by the luni-solar calendar, based on the movements of the moon. This means that Saturday is not the “Sabbath of Yahuwah thy Eloah.” (Exodus 20:10, KJV) It also means that Sunday is not the day of Yahushua’s resurrection. Both are counterfeit days of worship, established by Satan in order to usurp the worship due Yahuwah alone. However, these facts will still never convince anyone who does not want to acknowledge the truth because it is inconvenient. Abraham Lincoln once observed: “When a man who is honestly mistaken hears the truth, he will either quit being mistaken or cease being honest.” WLC appeals to you to lay aside every assumption and cherished prejudice. Put the truth first and follow the Lamb wherever He leads. 3 Eviatar Zerubavel, The Seven Day Circle, p. 23, emphasis supplied. 4 Ibid., pp. 23-24, emphasis supplied. 5 Robert L. Odom, Sunday in Roman Paganism,“The Pagan Planetary Week,” http://4angelspublications.com/Books/SiRP/CHAPTER%201.pdf, emphasis supplied. 7 “The Julian Calendar,” Encyclopædia Britannica, emphasis supplied. 8 Calendar Fraud, op cit., p. 31. 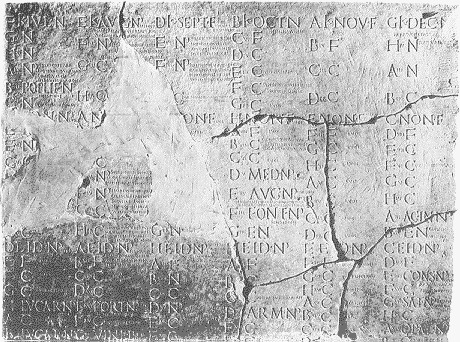 9 Inscriptiones Latinæ Christianæ Veteres, Vol. 2, p. 118, #3033. 10 Calendar Fraud, op cit. 11 Maimonides, Kiddusch Ha-hodesch, Tr. Mahler, Wein, 1889. 12 “Holidays,” Universal Jewish Encyclopedia, p. 410. 13 The Universal Jewish Encyclopedia, Isaak Landman (ed. ), Vol. X, “Week,” (1943 ed. ), p. 482. 14 The Universal Jewish Encyclopedia, “Calendar,” p. 631. 15 “Calendar,” The Jewish Encyclopedia, emphasis supplied. 16 “The Jewish Calendar and Holidays (incl. Sabbath)”: The Jewish Calendar; Changing the Calendar, www.torah.org, emphasis supplied. 17 Heinrich Graetz, History of the Jews, Vol. II, pp. 563-564, emphasis supplied. 19 Grace Amadon, “Report of Committee on Historical Basis, Involvement, and Validity of the October 22, 1844, Position”, Part V, Sec. B, pp. 17-18, emphasis supplied; Box 7, Folder 1, Grace Amadon Collection, Center for Adventist Research, Andrews University, Berrien Springs, Michigan. 23 To listen to a transcript, click here. 25 Nelson’s Illustrated Bible Dictionary, Thomas Nelson Publishers, 1986, emphasis supplied. 26 It is beyond the scope of this article to explain in detail how the Biblical calendar worked. For more information, click here and here. 27 For a detailed and in-depth study of this subject, see Weekly Sabbath Days Are Determined By The Moon by Arnold Bowen and Matthew Janzen. 28 eLaine Vornholt & Laura Lee Vornholt-Jones, The Great Calendar Controversy, p. 87, emphasis in original. 29 Odom, op cit., p. 157. 30 Calendar Fraud, op cit. p. 44.